The banjo, an instrument with roots in Africa and many other parts of the world, has played a vital and volatile role in America’s musical history. It’s found a home in the parlors of the wealthy and on the porches of the destitute. It’s been in and out of fashion, sometimes signaling sophistication and other times symbolizing backwardness. In the right hands it has brought comfort, and in the wrong hands it has trivialized the suffering of the wretched. For centuries, it’s brought joy to American musicians and their audiences. European explorers encountered the “gourd with neck and strings” on expeditions to Africa, and African slaves brought versions of the instrument to the New World by 1620, several sources have said. Banjo-like instruments proliferated during the days of slavery in America, with early versions made from calabash gourds and animal-skin heads attached with nails or tacks. Some had a flat, fretless neck, and many had three or four strings made of whatever material was at hand. As early as 1769, white minstrels impersonated African American musicians by playing banjos and performing in blackface. By the 1840s, minstrel shows had gained great popularity and Joel Walker Sweeney, a white minstrel performer, had become famous for his proficiency on the banjo. Some historians consider Sweeney the first musician to use the drum-like configuration of the modern day banjo, though other authorities dispute that claim. While Sweeny’s portrayal of African Americans was nothing short of appalling, he contributed a lot to American music. He was the first performer to use the banjo in a professional setting. He wasn’t the first to employ the fifth string, but he popularized it. Before long, other players were adding a fifth string, the shortest on a banjo and typically used to produce a drone note. Sweeney inspired other musicians to take up the banjo, and he even worked with a Baltimore drum maker to produce banjos for sale to the public. Other manufacturers who capitalized on the banjo’s newfound popularity included David Jacobs of New York and Charles Morrell in San Francisco. Although Sweeney and his contemporaries introduced the banjo to a wider audience, the Civil War became the true catalyst for the instrument’s popularity. The conflict brought people from throughout the nation into close contact, exposing many to the banjo for the first time. In some regions, the instrument had been familiar only in barrooms and race tracks before the war. It was also roughly around that time that white musicians in Appalachia began adapting European folk songs and fiddle tunes to the banjo, resulting in the traditions explored and modified in the 1940s and the folk music boom of the ‘60s. Many trace the source of all modern original American music to the combination of fiddle and banjo. Director Martin Scorsese showed black and white musical traditions intertwining to form American music in a scene in his fictional film “Gangs of New York,” in which a fiddle and banjo player entertain in a 19th-century pub. From the 1870s to the 1910s, the banjo as we know it today started to take form as manufacturers added frets, resonators and tone rings. During that period, the banjo’s popularity steadily increased all around the world. Professional musicians began using the instrument in many musical genres, much the way they use the guitar today. Banjos were becoming a common sight in the parlors of wealthy Americans and Europeans, as well as on the porches of middle-class and working-class hobbyists. During World War I, Americans once again looked within the nation’s borders for new and exciting performers. The public’s attention shifted from waltzes and classical music to early forms of jazz. Early jazz was a far cry from what’s heard today; it was largely up-tempo, generally did not feature the guitar and was structured in a way more palatable to the average listener. The banjo was quickly adopted for early jazz because it was one of the few instruments capable of providing the genre’s signature dry rhythmic pulse at a volume that could compete with horns and woodwinds. But the banjo’s success didn’t continue in the decades that followed. The guitar dethroned the banjo in the early 20th century for several reasons. 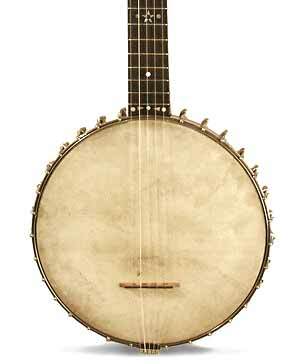 First, the banjo was priced out of the market as the Great Depression swept through the country. In 1930, a Gibson L-1, the guitar reportedly favored by Robert Johnson, cost $50.00, the equivalent of $687.57 today. A Gibson banjo of similar quality cost three times as much. While the price of banjos didn’t dissuade established professional musicians, it prompted many aspiring players to choose guitars instead. Soon the banjo was replaced by the archtop guitar — a variation on the acoustic guitar invented by Orville Gibson in the 1890s — in jazz and other forms of popular music. The archtop couldn’t quite match the volume of the banjo, but it was still powerful enough to hold its own with the other instruments prevalent at the time. It’s also believed that the softer voice of the archtop appealed to Americans' suffering during the Great Depression more than the brash and lively tone of the banjo. Bill Monroe, a giant of bluegrass who was born in 1911, had hits in the 1930s and was inducted into the Grand Ole Opry in 1939. However, Monroe hadn’t yet developed the chops that would become his signature style. His songs had most of the conventions fans would come to expect from bluegrass, such as fast tempos and virtuosic instrumental performances, but a crucial element was missing; that element was Earl Scruggs. What made Scruggs stand out from his contemporaries on banjo was his syncopated, three-fingered picking style. Although Scruggs did so much to popularize that playing style that it’s generally known by his name, historians debate whether he actually invented it. Snuffy Jenkins and Don Reno had similar styles based on three fingers and a syncopated feel, but both had distinct differences from what’s usually considered Scruggs-style playing. The Scruggs way of playing banjo became so widespread that it changed the way the public perceived the instrument. Since then, a few artists have deviated from style and still succeeded as banjo players, but they haven’t reinvented the instrument the way Scruggs did. Earl Scruggs - "Foggy Mountain Breakdown"
The spirit of rebellion that’s so often brewing in America was manifested in punk in the ‘70s and grunge in the ‘90s. In the ‘50s, rebels in New York and a few other cities turned to folk music that often featured banjos, fostering a movement that went national and reached its peak in the mid-‘60s. It became known to some as the folk boom and to others as the folk scare. Whatever one calls it, the revival of folk music native to Appalachia and the South provided the soundtrack to the Civil Rights struggle. It also triggered Cold War paranoia about “Commies” that drove early folkies underground, and many were blacklisted from major music venues and labels. As a result, folkies found themselves relegated to college campuses and coffee houses. As the Red Scare wound down, folk singers and players went mainstream. The Kingston Trio, for example, a three-piece group that embraced the songs and structure of traditional American music, abandoned any hint of the political ideology folk musicians had embraced a few years earlier. But casting off the values at the core of the early folk revival wasn’t easy. In fact, musicians such as Bob Dylan and Joan Baez used their folk-based music to express a profound commitment to social justice and even joined Martin Luther King Jr.’s 1963 March on Washington. And musicians with a social conscience brought along their banjos. Some, like Pete Seeger, were known as much for their politics as for their music. But those who gained fame only for their playing also showed another side of themselves. Scruggs, for example, appeared onstage at the Moratorium to End the War in Vietnam in 1969. 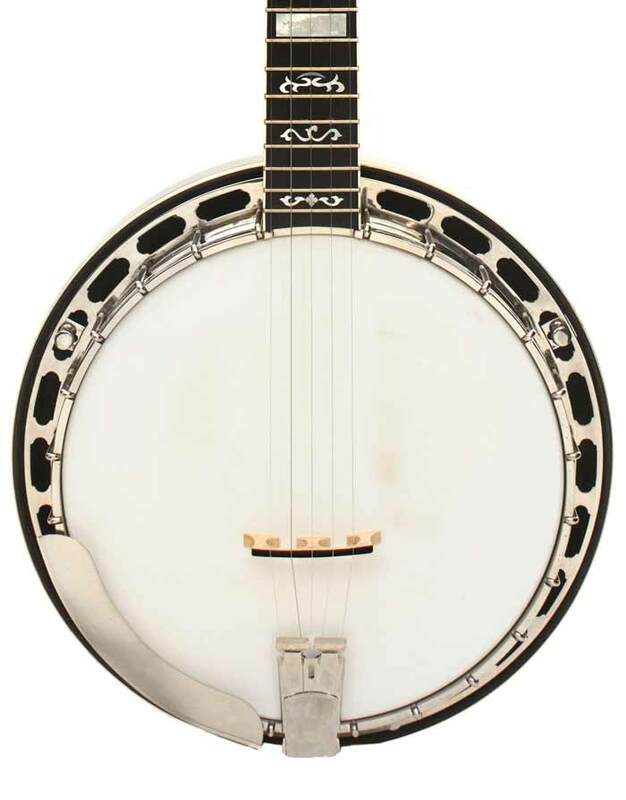 Since the Civil Rights movement, the banjo has enjoyed periodic resurgences, such as when the 1972 movie “Deliverance” featured the song “Dueling Banjos” in the soundtrack. It should be noted that the song was originally released in ‘55 as “Feudin’ Banjos,” by Arthur "Guitar Boogie" Smith, and that it also appeared in an episode of “The Andy Griffith Show” in ‘63. In recent years, banjos aren’t heard too often except in bluegrass, a genre with a limited following. Though bands like Mumford and Sons and the Avett Brothers have boosted the instrument’s appeal, and Béla Fleck is still touring and making records for NPR listeners, the banjo has once again become a niche instrument. But that’s OK. For the banjo, an instrument often crafted by the hands of the marginalized, it’s fitting to provide refuge for players and listeners alienated by the glitz and glam of modern music. Looking to get started with the banjo? Check out this beginner banjo guide from Deering.